Domestic debt stock stood at US$9.6 billion as at end of September 2018, and Treasury Bills have been the biggest culprit. They became the new Zimbabwe Dollar, “printed” by the Government when it needed money to fund its greed. When TBs were not enough, Government simply called RBZ for an overdraft. According to the law, the Government was not allowed to borrow more than 20% of the previous year’s revenue from its RBZ overdraft. Government went well over the limit. Not only has Ncube committed to to limit use of the overdraft, he has gone further and boldly cut this overdraft threshold from 20% to just 5%. Government has moved to quietly retire Command Agriculture, the centrepiece of Mnangagwa’s administration and, some would say, his campaign platform. Command ate up $1.1 billion as at August 2018, almost three times the budget target of $401 million. Ncube said it “has been one of the major drivers of the budget deficit”, made worse by high default among beneficiaries. Ncube announced that Government is reviewing “the financing mechanism with a view of sharing the burden between Government and the private sector”. He, however, gives no detail on how this will be done. He says agriculture funding will be confined to support for vulnerable households, extension services, and research and development. In all, Agriculture got $989 million. Of all ministries, it has the biggest capital expenditure share, with $853 million set aside for that. Much of that capex is on irrigation systems, dams and mechanisation. Ending Command Agriculture is a good move, and a daring one given its political capital. Recently, Surface Wilmar, the country’s biggest cooking oil processor, told Government to dump the programme, and said it was ready to help with a better model. Never has there been a bunch more difficult to get rid of. Last year, then Finance Minister Patrick Chinamasa tried to retrench 3,188 “youth officers”, really ZANU-PF activists leeching off the Treasury. His decision was reversed by Robert Mugabe at a rally. When Mnangagwa came to power, Chinamasa again tried it, announced in his December 2017 budget that they would be let go. But the officers went to court, and it was ruled that they had been unfairly dismissed. The Public Service Commission was then ordered to do it properly. Ncube says the youths will be cut loose by year end. It will cost money in the short term. Government has already set aside $5.2 million for the three months’ cash in-lieu of retirement and $17.7 million for their pension benefits. Ncube has removed customs duty on sanitary wear, “in order to cushion underprivileged women and girls”. The measure brought cheers from female MPs, who high-fived each other on the announcement. However, Ncube says he is doing so for only 12 months. He is also exempting imports of sanitary wear from VAT. The opposition often quotes a 2010 Ernst & Young audit report, which was never made public, as the source of their claim that there are more than 70 000 ghost workers on the Government payroll. In her 2015 report, Auditor-General Mildred Chiri found 3500 ghost workers drawing salaries totalling $21 million. A civil service audit conducted in 2015 put the number of ghost workers at 3 307. Ncube’s budget is stronger on public accounting than previous budgets have been. He takes on several recommendations, ignored over the years, from the Auditor-General and Parliament’s budget office. One such issue is on the system of allowing Government departments to keep a portion of the money they raise, without sending it to the consolidated revenue fund, the central pool of all the money that Government makes. This system started in the hyperinflation era, when departments pleaded to be allowed to keep their money so that they could use it quickly, as bureaucracy meant that the money would lose value fast. But the Auditor-General has raised red flags over this many times; she has warned that Government may be losing millions due to mismanagement of these retained funds. In fact, in one report, in 2016, she revealed that some ZRP stations were not even banking earnings from traffic fees. ZINARA had also misused millions in retained funds. A report last year by Parliament’s budget office said up to $1 billion might have been raised by departments, but the money never reached central Government. Ncube says there is a “fundamental weakness” in the retention scheme and all revenue must now go directly to the consolidated revenue fund. He will, however, need to cut out the bureaucracy to make sure that funds go quickly where they need to go, or else there would be disruptions to Government operations. Ncube even now restricts the use of Government vehicles; civil servants can no longer use cars outside office hours for private business. There are steps that Ncube took that will potentially have a negative impact on the economy, especially on the poor, who are having to carry much of the burden. Inflation is already on the march, and Ncube expects it to close the year at 25.9%, having reached 20.85% in October. Adding fuel to the fire, Ncube has increased excise duty by 7 cents per litre on diesel and paraffin and 6.5 cents per litre on petrol. The duty will now be 38.5 cents for petrol and 33 cents for diesel. Ncube’s reasoning on this? The volatility we have seen on the currency markets has distorted the fuel market, such that our fuel is now “relatively cheaper compared to prices obtaining in the region, creating an arbitrage opportunity for local consumers and transiting vehicles”. But consumers already pay too much tax on their fuel. Apart from the excise duty, consumers pay 8.2 cents and 2.8 cents for every litre of petrol and diesel, respectively, towards paying off an old Noczim debt. There is also a Zinara road tax and carbon tax priced into every litre. In addition, did Ncube not, just last month, say foreign truckers would be forced to buy fuel in US dollars? 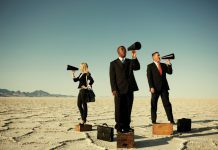 Businesses never need a second invitation to increase prices, and news of the increased excise duty may see more price hikes. Ncube had been expected to scrap the 13th cheque, but Government will actually, for the first time in several years, pay $175 million bonuses inside the current financial year. There is a reduction, however, since it’s paid only on gross pay. The wage bill will rise by 5% to $4.050 billion in 2019, although its share of total revenues will come down to 61% from 73% in 2018. Health got the third largest chunk, $694 million, with 66% of that going to the wage bill and the rest set aside for operations, maintenance and capex. Ncube is laying off 419 civil servants above 65, which would save $4.2 million a year, but he has not gone far enough to cut the wage bill, which he says is still 90% of revenues. Importers of cars and other imported luxuries will now have to pay duty in foreign currency. Ncube says this is “in order to redirect use of scarce foreign currency to the productive sectors of the economy”. Car dealers were already buying and selling vehicles in foreign currency, and it seems only logical that duty reflect that. And by forcing luxury imports to pay duty in forex, Ncube is imposing a tariff on imports, in some ways more effective than SI 122. However, the measure makes a mockery of Government’s insistence that the US dollar is at par with RTGS or bond notes. This may also drive up demand for foreign currency. It will make it harder for many low income owners, who earn only local currency, to ever own a car. These are some of the ugly things that Ncube, and indeed the entire Government, can do without. So, while demanding foreign currency payments for car import duty from everyone else, “senior civl servants” will not have to pay duty entirely. The Government is sticking to the 1:1 parity. According to Ncube, “Government commits to preserving the value of money balances on the current rate of exchange of 1 to 1, in order to protect people’s savings and balance sheets”. Ncube’s thinking on this, expressed in the budget, is this; floating the currency without any reserves to back it up will see the rate going through the roof. Local balances would be decimated, and prices would rise. This makes sense. However, demanding some duties in US dollars contradicts the entire insistence on currency parity and presents an image of policy contradiction. If Zimbabweans can barely wrap their heads around why the Government claims local money is equal to the US dollar, while speaking of “foreign currency” for duties and fees, then imagine how confusing it must be for any of the foreign investors that the Government is so desperate for. The Government still insists on the RBZ allocating foreign currency to importers. Concessions have been made to mines; they can now keep 55% of their export earnings in US dollars. However, they still need to queue at central bank for allocations. Even worse, Ncube has set up a “Foreign Currency Allocation Committee”, which will decide who gets what money. Ncube claims this committee will have “broader representation as was the case in the past”, and that it is only temporary. But it is an apparition that should remain in the past and has no place in a free market. Government is spending $3.2 million on a Parliament building that the country does not need. The budget for it will be supported by US$31.9 million from China. After rival political parties in 2013 conspired to increase the numbers of MPs, the current Parliament can no longer accommodate the 270 lower House MPs and 80 senators. The proposed new Parliament will fit 655. The new building will forever stand as a middle finger to Zimbabweans, who are begging their Government to cut its size and live within its means. The UK, which has a $3 trillion economy, is happy to squeeze 650 MPs into its 437-capacity House. Zimbabwe, whose economy is a fraction of Britain’s size, somehow believes it deserves more space. Of course, no politician from either side of the aisle will support cutting Parliament. None of them wants to leave the gravy train. It would take strong leadership to push for that. But nobody is showing the stomach for such radical steps. Zimbabwe does not need 655 seats for MPs. In fact, the country needs less politicians. Ncube has done well on measures to chip away at the budget deficit, with his steps on TBs and the overdraft. He has also worked hard to improve the management of public funds. Government has talked for years about a “one stop shop” investment agency and ease of doing business reforms, without ever showing concrete commitment. 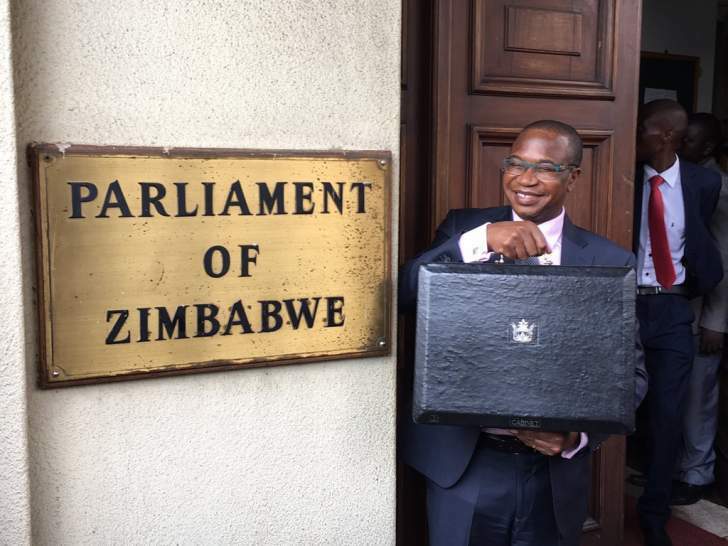 In his budget, Ncube finally puts this into action with an allocation of $41 million to set up the Zimbabwe Investment and Development Agency, ZIDA. A ZIDA Bill has been crafted and approved by Cabinet. However, there is also far too little detail on key areas, such as the cost cutting measures. Overall, the budget leaves Zimbabweans with less money in their pockets, while Government’s only sacrifice is a token 5% salary cut for senior officials; ministers and their directors, state enterprise CEOs and the President. The austerity is for the poor, and the prosperity for those leading Government. Now that Ncube has presented his budget, his battle is to actually make sure it happens. His strategy to tame the currency and inflation crisis is to attack its roots, which is state spending and borrowing. He had all the right words, peppered with quotes from renowned economists and philosophers. But all that counts for nothing should ZANU-PF remain stuck in its greedy ways. From now on, as he tries to implement what he’s proposed, in the face of inevitable resistance from those who cannot change, his job is going to get even tougher, while his credibility will be placed under even further scrutiny. Your analysis is always the best. You never disappoint. Thank you.